I bought this black & white striped dress from New Look for a great price of £15, but unfortunately it's not available anymore. I have linked a similar one above for you guys though! My favourite thing about this dress is that it makes your eyes go funny if you're looking at it. I find it really amusing to be honest. Monochrome is always a winner in my eyes! I'm wearing this dress with a vintage cardigan that was once my Grandma's and i think it makes the outfit look a bit more casual! 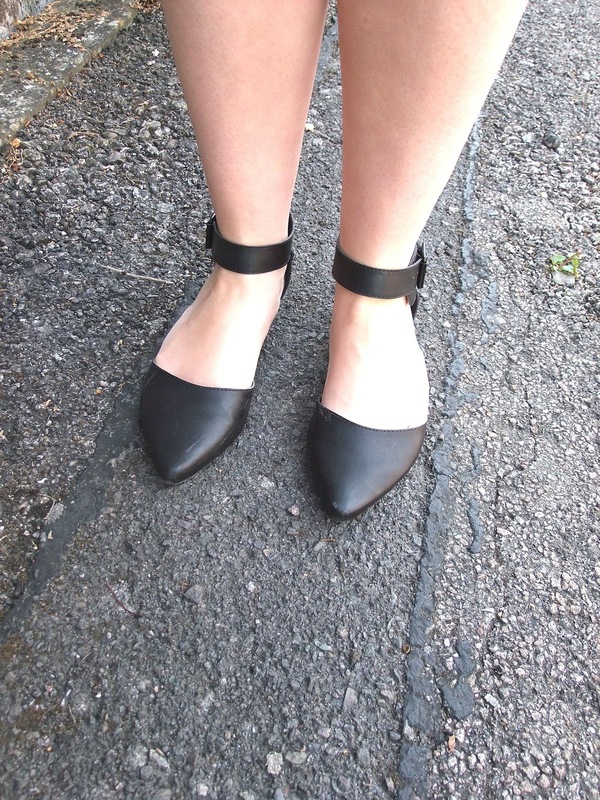 I'm loving pointed toe, ankle strap shoes at the moment, especially flats because i can't really go out in heels! They're so beautiful and perfect for the Summer! Jewellery is in the form of a variety of rings as a necklace would of been too much. I think this outfit would be great for a nice warm day either at a bbq or maybe at a picnic or something! 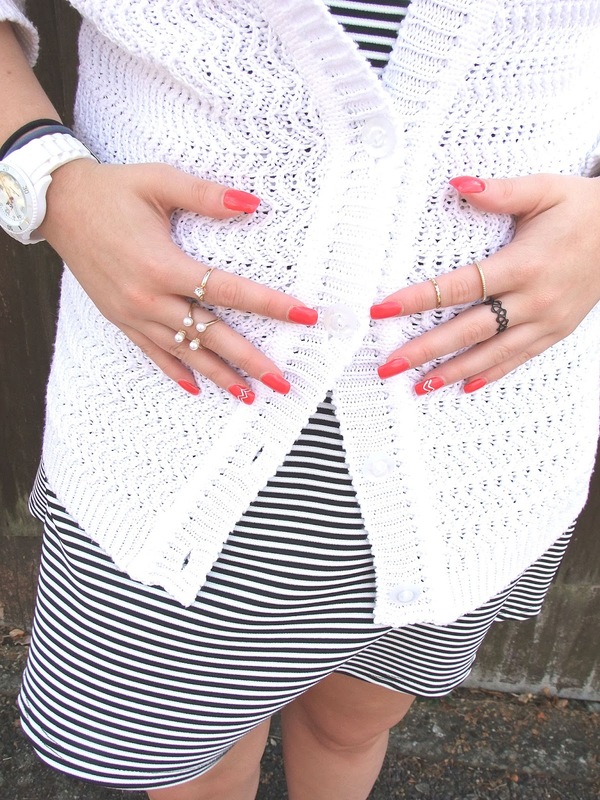 I think my brightly coloured nails are perfect with this outfit as they add a pop of colour. That dress is so cute and it seems so versatile all year round! I love monochrome too and those nails! OMG!! another amazing blog post !! Cute look. Love your shoes and pearl accessories. I love your rings. So adorable! I saw similar in Primark!! 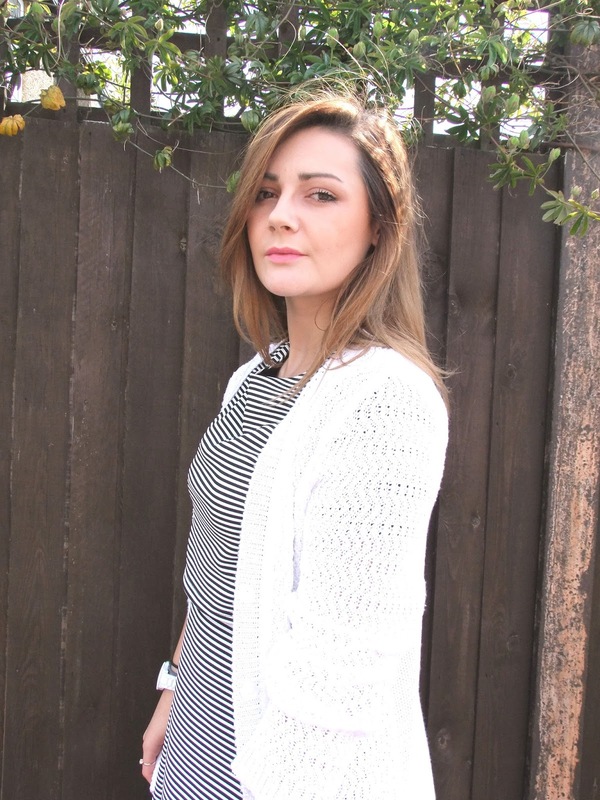 love stripes for the summer! You look awesome in this!